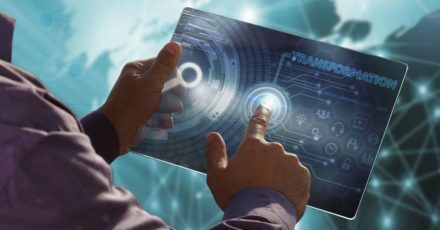 Enterprises continue to pursue digital transformation, all in the name of improving the customer experience and streamlining business processes. For most organizations, there never comes a day when digital transformation can be checked off as finished, but those pursuing it over the last several years are likely seeing major shifts in how their business competes or in their customer satisfaction metrics. Multi-Cloud Becomes the Standard. Enterprises are implementing a multi-cloud approach with diverse solutions under a single heterogeneous umbrella infrastructure in an effort to meet organizational needs. It offers flexibility for the enterprise to choose specific solutions to meet business requirements. Multi-cloud also helps enterprises eliminate the risk of too much dependence on a single provider, which can introduce system failure risk or financial vulnerability in the event of a breach. Choosing a multi-cloud approach helps decrease the risk of a disaster and its impact on the enterprise. Public and Private Cloud Become Less Separate. The rigidity of the lines between public and private cloud is fading, with business leaders prioritizing access to new technologies and unlimited scalability. Public cloud solutions are beginning to enter the data center, elevating the importance of application performance interfaces (APIs) and control plans, and requiring a focus on who is managing each stream and where it is being run. The Debate Between Containers and Virtual Machines Will Be Over. A new set of solutions will end the debate between virtual machines and containers. Users will launch a lightweight micro-virtual machine in a nonvirtualized setting in a microsecond. This allows enterprises to get the advantages of the security and workload isolation experienced in a virtual machine while capturing the efficiency that comes with containers. Expect to see more micro-virtual machines entering the market in the next year. The Conflict Continues Between Agility and Governance. The pace at which public cloud solutions advance is impossible to match in terms of security, operability, governance, and reliability. The surge in demand for advanced cloud solutions is often checked by the complexity of all of a new solution’s implications for other areas of the IT environment. From networking complexity to cyber security challenges, organizations will continue to struggle to have the foundations in place to adopt new solutions. 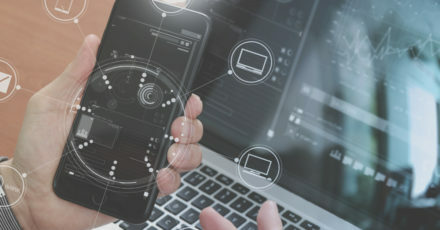 The new era of digital transformation continues to equip organizations with new opportunities to improve end-user experiences, but in many cases, the underlying infrastructure struggles to keep pace with the innovation. Contact us at Truth Comm to equip your enterprise with the right solutions and strategy to take advantage of new innovations while protecting your systems and data. Why Is Robotic Process Automation a Good Fit for Your Organization? Business process automation is constantly evolving, which has led to the innovative robotic process automation sector taking off in recent years. If you’re burdened with repetitive tasks, you can benefit by looking into this technology and saving valuable time for your organization. The technology has advanced to a point where some are calling the latest solutions robotic process automation 2.0. This involves improvements around artificial intelligence (AI), which is making it less difficult for organizations to enjoy the benefits of robotic process automation (RPA) without having to worry about a large price tag with regard to development work. If your goal is to streamline enterprise operations while reducing cost, RPA could bring key additions to your organization’s workflow processes. For example, if you have numerous rules-based processes that are best described as “mundane,” RPA can automate some of those tasks to free up your time to focus on other crucial aspects within your organization. Furthermore, with artificial intelligence and machine learning technologies, your solutions essentially train themselves to make judgments regarding future outputs. One of the first key benefits organizations see when they implement RPA is a reduction in errors related to humans. 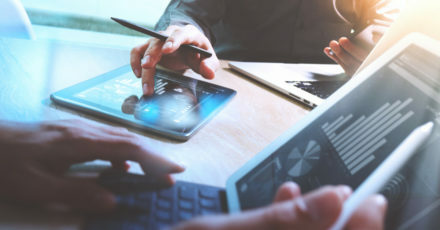 Deloitte LLP published research from the banking industry on this topic, which found that because RPA automates tasks that are typically done by office workers using computers, error rates were lower, improving service and increasing the scalability of operations by utilizing this technology. One commercial bank deployed 85 software robots running 13 processes, handling around 1.5 million requests per year. This allowed the bank to add capacity equal to nearly 230 full-time employees, but at around 30 percent of the cost of recruiting actual staff. Different streams of RPA have been identified by a professor at the London School of Economics as leaders in the business sector. They include highly customized software that is targeted for very specific processes; screen scraping RPA, which synthesizes data to a document; self-development RPA, where a template is used for programmers to design their unique robot; and enterprise-safe RPA, which is scalable and reusable. At Truth Comm, we’re dedicated to helping our clients get in touch with the technology that will help them reach their goals. Contact us and let’s discuss how RPA can streamline your workflow and help you gain valuable time. Furthermore, we’ll make sure you get the type of RPA that is the best match for your personalized situation. A recent report from the Ponemon Institute regarding how much it costs to contain a data breach sheds light on the high cost involved for organizations. The report makes it clear that combating cybercriminals requires a serious approach to cloud security. Every organization will need to customize its approach to a cloud security strategy, but across the board for all industries, artificial intelligence (AI) can play an effective role in your strategy. AI is a type of software that enhances traditional cloud security technology. Related to AI is machine learning, which is often described as a “subset” of AI. Machine learning utilizes various algorithms on your data, allowing it to “learn” from it. For example, your data patterns are like a fingerprint — it’s different from any other pattern. Your machine learning technology analyzes these patterns and can learn from it and make adjustments as needed. When you utilize AI and machine learning, you can improve your processes for finding anomalies. Typically, the system is set up so that when an abnormality is discovered, an IT manager is alerted, or the system can be configured to automatically shut down a user where the abnormality is suspected of originating from. It’s this fast response that can keep a potential threat from escalating to the point where it does damage or protects you from further damage than it has already caused. If some dangerous code has already begun to infiltrate your network, the AI and machine learning technology will respond, locking it out and preventing a data leak. For organizations that have brought AI and machine learning into the cloud security mix, they’ve found rather than toiling with mundane yet important tasks, their technology is working on those things and at a much more efficient rate. This gives IT teams more time to deal with other situations that can further their business goals. While nobody is saying technology can replace humans, it definitely adds value when used in a comprehensive strategy. To get the best technology for your situation, you need someone who can assist you in weeding out the solutions that might look intriguing but ultimately won’t serve you well. At Truth Comm, we can connect you with some of the best cloud security services on the market. Our approach is to get to know what your business does, how it operates, and what technologies we can put in place to match exactly what your system requires. Contact us, and let’s discuss our methods. Thinning the pack: With enterprises investing in SD-WAN as an upgrade to network infrastructure to support security efforts, cloud solutions and Internet of Things (IoT), the need for an intuitive solution is pushing out those providers that tagged SD-WAN onto other offerings. A provider that simply offers basic SD-WAN will soon find that enterprises aren’t interested in SD-WAN without optimization capabilities or sophisticated segmentation available. Providers that specialize in SD-WAN as a way to drive business initiatives will eclipse those that offer it as a sideshow. 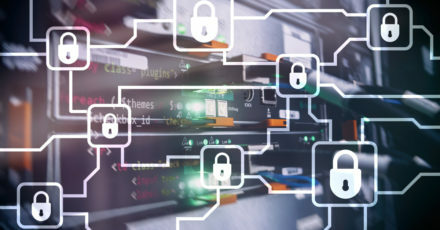 Security focus: Once security teams recognized the potential for segmentation in SD-WAN offerings, they began to expand how it was being applied to protect systems from a breach. 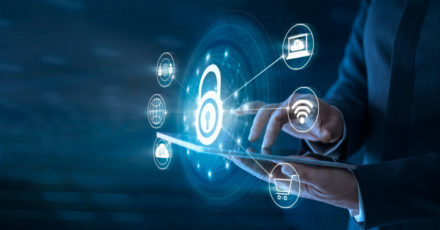 For instance, if an IoT device is compromised, SD-WAN makes it easier to isolate network traffic by device or user to limit the exposure of the company to a threat. Many enterprises are creating new security frameworks around SD-WAN’s capability to segment traffic. Previously, a broadly utilized WAN allowed every application to communicate with all others, introducing vulnerability when a threat was present. SD-WAN makes it much simpler to isolate a threat. Business drive: One reason that enterprises are interested in implementing SD-WAN is its role in pushing business objectives forward. From optimizing network traffic to prioritizing a video conference call over employees browsing Facebook, the network technology makes it possible to reduce costs, improve the customer experience and equip real-time decision-making. Consider a company that introduces a new Unified Communications as a Service (UCaaS) solution that offers shared workspaces. SD-WAN allows automated policies to be set up so that a virtual team sharing information in that shared workspace is prioritized over other types of non-critical transmissions. This empowers real-time decision-making that speeds up productivity and pushes the customer experience to new levels of satisfaction. Early adopters: Those who implemented SD-WAN in its early stages may be contemplating an additional investment in a more mature solution. While these tools offered some improvement over traditional hub-and-spoke network infrastructure, they need more features to get the level of visibility and control that experienced WAN providers offer. To learn more about changes occurring in SD-WAN offerings, contact us at Truth Comm. We can help you identify the main goals you need to address with an SD-WAN solution and guide you through the process of choosing the right option for your implementation. If a natural disaster were to hit your area, preventing your employees from making it into your physical location, how would you keep business processes moving? At the same time, what if key systems in your office are impacted by the natural disaster? Business continuity planning helps you think through scenarios like these and create a plan so that your company can continue uninterrupted, even in the event of a widespread disaster. Many companies don’t prioritize business continuity planning, but it would be hard to identify an organization that is shielded completely from the possibility of any natural disaster. The biggest threat to your business doesn’t even come from hurricanes, tornadoes, and earthquakes; much more likely than a flood or a fire are the possibilities of data deletion or failure to password protect a mobile device. Downtime will cost you. If you’ve never calculated the cost per hour of having your systems down and employees idle, that may be why you haven’t prioritized business continuity. Once you do a quick analysis of your downtime costs, you’ll find that it’s a good investment to set up a plan. Traditional back-up is not enough. If you’re still running backup on tapes and storing them in a vault, it’s time to upgrade your backup efforts. Backing up your data in the cloud is a smart strategy because it offers geographical diversity and the provider will offer you clear information about how long it will take to restore your data. Using a cloud server means the interruption to your business will be minimal. Most disasters aren’t natural. 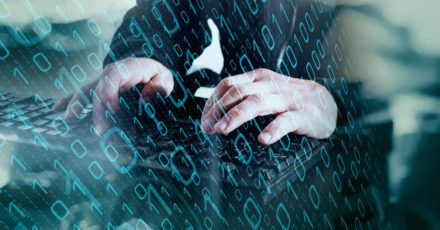 From cyber threats to an employee that bypasses a data backup because the process is cumbersome, there are dangers to your business that you will never see reported on the news. A business continuity plan helps you identify all the potential areas of risk and develop action plans that can be quickly executed once the problem is identified. Business continuity planning impacts your customers. You may have considered the cost of downtime, but what about the cost to your reputation? The lost sales are one aspect of business continuity, but you should also consider the cost of replacing lost customers and the damage to your reputation and credibility. A good plan will ensure your customers never detect any interruption in service. When you conduct an initial risk assessment, be sure to include all costs, including the cost of a frustrated customer. If you’ve been putting off business continuity planning, contact us at Truth Comm. We can help you identify the right cloud backup provider for your disaster recovery needs and guide you through the process of developing a reliable plan for handling any threat to your business. The push to cloud migration is only expanding, and for many organizations the initial motivation of reduced costs or a better customer experience is making way for strategies focused on innovation. The fast pace of change will continue, but enterprises who value agility in pursuit of innovation will be looking for a strategy to adopt a multi-cloud environment. 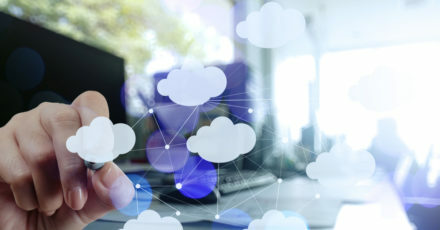 In many cases, this journey to multi-cloud begins with enterprises coming to the realization that it’s impossible to succeed without dedicating more of their time, effort and budget to innovation. This is generally approached with a combination of strategies to cut costs and an effort to migrate more workloads to the cloud, with multi-cloud increasingly a common solution. This focus on innovation is often a later priority as enterprises embrace multi-cloud solutions. What begins as a pursuit of redundancy for security purposes or the avoidance of provider lock-in eventually emerges as an innovation strategy and it becomes a key benefit of a multi-cloud environment. 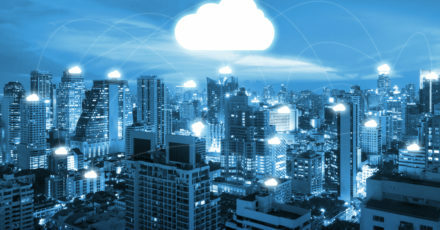 From infrastructure to innovation: In the early days of cloud computing, the focus was infrastructure, with providers keeping pace with one another in terms of network connections, solutions for storage and instance types. Platform-level services gave enterprises the ability to add database instances and other applications. As the cloud market is maturing, innovation is shifting to more complex innovation, from big data to the Internet of Things (IoT) and artificial intelligence. This new level of innovation is causing enterprises to look at multi-cloud a bit differently. They realize that the rapid pace of technology innovation requires them to access more than one cloud solution to keep pace with their competitors. Create a data management plan: Data management remains one of the biggest challenges for IT. From collecting and securely storing it, to processing it for useful application and then eventually retiring it, the complexity can be a lot to manage. Enterprises need a comprehensive approach to data, with location, accessibility, security, privacy and durability all requiring attention. Your strategy should be ready for multi-cloud. If you’re pursuing cloud migration, you should assume that one cloud will not be enough. The pace of innovation requires you to incorporate more than one cloud into your strategy. Look at applications holistically: Your application is complex and requires a variety of support structures for successful hosting in the cloud or across multiple clouds. Whether it’s run in your data center or at the edge, think more broadly about what you need to support a flexible application in the cloud. Don’t let multi-cloud “happen” without a strategy: If you don’t work on a strategy for multi-cloud, shadow IT will gradually make it your reality without your input. Don’t force your enterprise into a do-it-yourself setting, where developers create fragmented solutions to cover what your enterprise needs. 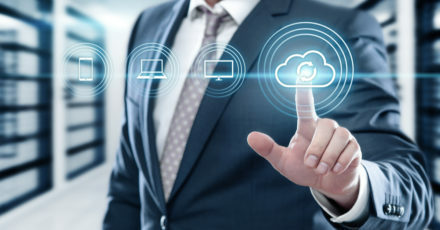 To learn more about how multi-cloud environments foster innovation for your enterprise, or to discuss leveraging multi-cloud solutions for your needs, contact us at Truth Comm. 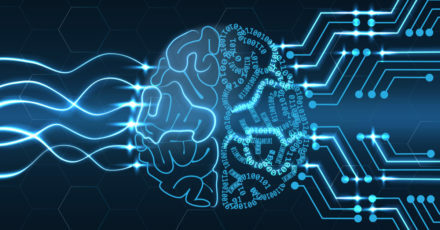 Machine learning and artificial intelligence (AI) deserve the headlines they’ve generated over the last few years, and these technologies have been used to shore up cloud security for many organizations. However, technology alone can’t solve all the issues that IT teams encounter where security is concerned. When you want to collect data and then analyze specific features of it to set up and train models, machine learning is your friend. You can augment your models to accomplish various outcomes, and this is something that is of great use to enterprises that have massive amounts of data. But machine learning isn’t specifically for large companies — it can also be leveraged in small- to medium-sized businesses that want more automation in their business model. What was once a rarity in the cloud environment is now the norm for cloud providers. They’re embracing AI for more enhanced security services. For example, providers have adopted Amazon’s AWS (Amazon Web Services), which is a mix of Infrastructure as a Service and Platform as a Service, for continuously monitoring their systems for added protection against actions that are not authorized. For organizations that want added layers of protection running in the background, AI and AWS can be of great interest, especially for hyperscale cloud providers due in part to the massive amounts of data that move across their networks. Despite all of the advancements of AI and machine learning, there are a number of third-party security providers who are not willing to say it’s a fix-all for organizations looking for more protections. Rather, they would like to see the technology more in tune with various binary decisions, because many malware detection solutions offer exceptional scanning tools that can protect the most sensitive information. While a robust method of adding more layers of cloud security is never a bad idea, the cost can be considerable, which is why some organizations have found a reliable and sensible method of running simple statistical analysis on a regular basis rather than rely on AI and machine learning for everything. The latest technologies can provide a great amount of assurance for enhanced cloud security, but without the right employee training, the time, effort and cost put toward hi-tech tools can be thwarted. Educating the workforce on how they become the weak link in a system can protect against unforeseen insider issues. Education, technology and a third-party provider of managed services can combine for a more comprehensive cloud security solution. At Truth Comm, we are the agent that can put your organization in touch with the cloud security solutions you need to maintain the integrity of your data and your reputation. Contact us and let’s get started on a safer, more efficient way of protecting your system.